The Western Wall is a sacred space, a focal point of prayer and spirituality for thousands of years. A holy place where we can connect to the Almighty with devotion, a place to pour out our hearts in prayer. The Wall represents the unity of the Jewish people. It is the heritage for all Jews and represents the glory of the past and the hope for the future. The traditions of prayer at the Wall reach back to the days of King Solomon, we believe that these traditions, enshrined by history and the practice of Jews for generations, should be respected by all. Unfortunately, some who made modifications to the ancient Jewish traditions have attempted to impose those innovations on others at the Wall. We represent the majority of Jews worldwide who support the retention of the traditions at the Wall as has been practiced since the time when the Temple was first built by King Solomon. We believe that rights of the millions who pray at the Wall throughout the year should be respected. While we respect those who desire a sincere connection to G-d in whatever form, we ask that they respect thousands of years of tradition, and the rights of those who wish to pray as has been done for generations. We ask all who come to Wall to follow the teachings of Aaron, Ohev Shalom, Rodef Shalom-to love and pursue peace, and to treat all with respect and dignity. 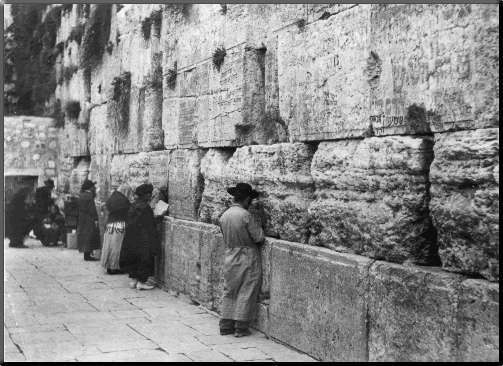 Is this what you mean by how the kotel has always been? Men and women praying together? Those are great pictures! Every one of them shows men praying separately from women. There is no Mechitzah because during Turkish and British rule we were not permitted to place one. The last picture, obviously more modern, is also obviously photoshopped. The message of these pictures: those who wish to remove the Mechitzah wish to return those who pray at the Wall regularly to an era of oppression, and are less than honest about their goals. We couldn’t have said it better! Also, it would be good if you put up a way to subscribe to emails from your blog on your blog without people having to make a comment in order to subscribe. This page makes me very upset. The “wall” is NOT the center of our prayers, it is not the focus of our prayers, and it never has been. “The wall”, is a wall which helps hold up Har Habayit.. Which was an empty courtyard, which itself contained the outer wall of the Beit Hamikdash. That outer wall, was some distance away from the building which contained the Kodesh Kdoshim. That kodesh Kdoshim held the aaron Kodesh. The Aaron Kodesh, held the Tablets of the 10 commandments, the physical evidence of Gd Speaking to the entire Jewish people. 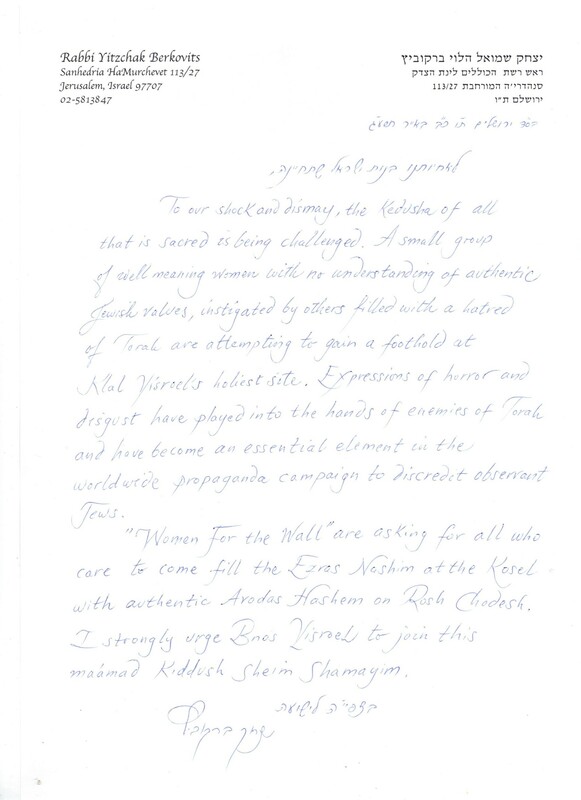 It is Gd that our prayers are focused on, and those tablets inside the aaron Kodesh. “The wall” was for centuries the closest we could get to the place were the aaron Kodesh rested. However “the wall” is “5 steps” away from where our prayers are focused…. That now people are calling the Kotel the focus of our prayers is such a shanda. Apparently, we have completely lost our focus. It is the holiest place to which we jews can go right now, given that we can no longer ascend Har Habayit, and it is where Jews have prayed since the destruction of the temple. A correction to my previous comment. Our prayers are substitutes for the Korbanot, which would go on the mizbeach. 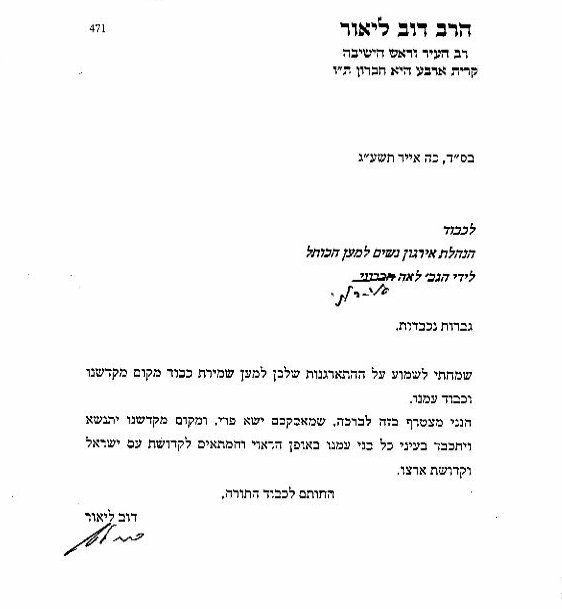 I was confusing our regular prayers with that of the kohen Gadol. The Western Wall has become, in addition to everything it already was, a tourist attraction. So has the Ari Synagogue in Tzfat. I wholeheartedly endorse people’s rights to practice as they wish in general. However, those rights must be bounded by respect for others and their pre-existing traditions. I doubt that Women of the Wall — or anyone else for that matter — would consider invading the Ari’s Synagogue and conducting their own type of prayer service to exercise their rights, because they recognize the special character of the place and the violation such a display would constitute. I see the Kotel as the same issue. Let people rally and advocate for the causes they believe in, but let them not do so by trampling the age-old traditions and character of a place that long preceded their political agenda. The Kotel is not the appropriate venue for this battle. On June 6 2013 Women for the Wall founders Ronit Peskin and Leah Aharoni explained their views at Media Central in a press conference. They are empowered, passionate, and dignified..